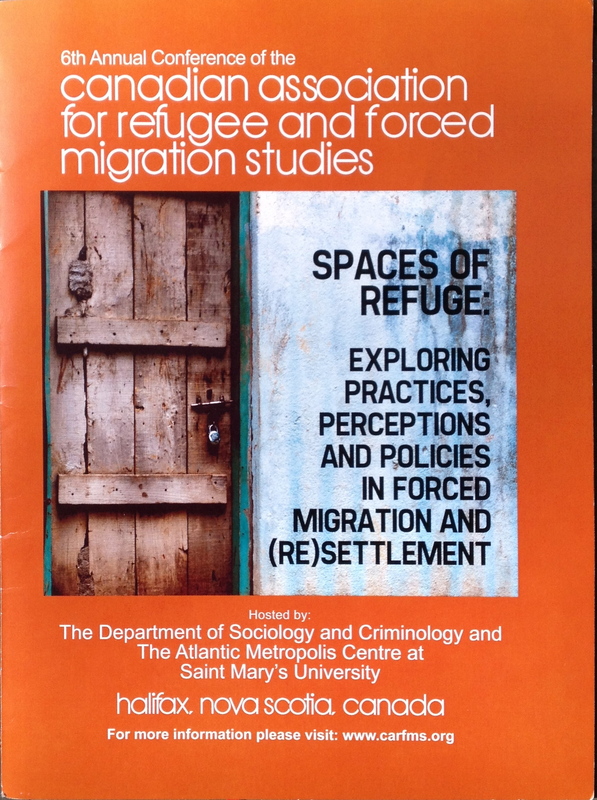 On 10 March I gave the closing keynote at the 6th Annual Conference of the Canadian Association for Refugee and Forced Migration Studies (CARFMS). The topic of my talk was Reversing Ethnic Cleansing: Bosnia’s Experience and Protracted Displacement in the South Caucasus. It reviewed the nature of Bosnia’s effort to reverse ethnic cleansing, its evolution from a ‘right of return’ to a ‘return of rights’ in Philpott’s construction and the impact of Bosnia on the development of ‘soft law’ like the Pinheiro Principles. The talk then reviewed the different experiences of forced displacement in Abkhazia, South Ossetia and Karabakh (and surrounding territories) before getting to the question of the limits and indeed potential dangers of ‘reversing ethnic cleansing.’ The talk is a gathering of thoughts for future work; it is, in other words, a work in progress. The presentation was recorded and I’ll post a link to it when I learn where it is posted. I thoroughly enjoyed the conference and learning about how much more comprehensive and supportive Canada’s system of refugee integration is compared to that in the United States. British Columbia’s placement of ‘settlement workers’ inside large school districts, for example, seems a model program that many places could learn from (presentations by Tara Holt and Meredith Verma). Many thanks to the conference organizers (in particular Morgan Poteet) for putting together a dynamic conference for inviting me to be a part of it. This entry was posted in Abkhazia, August War, Bosnia, Bosnian war, Caucasus conflict, Current affairs, ethnic cleansing, forced displacement, genocide, Georgia, nationalism, Pinheiro Principles, restitution, South Ossetia, World political map and tagged IDPs, Maldives. Bookmark the permalink.